This week The Diva has reminded us to relax, breathe and smile. A fresh breeze, leaves and sunshine came straight into my mind. Ahhh! I love the line shading at the base of the petals. There's so much depth going on in this picture! 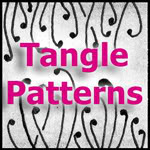 I love your tangles....they have a personality and flair! I love this! It's so wispy and airy. I can feel a gentle breath. Ahhhhh! 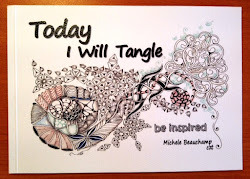 Your tangle actually made me smile, relax and breath! I could feel a warm breeze on my arms! I love your beautiful sunflower! 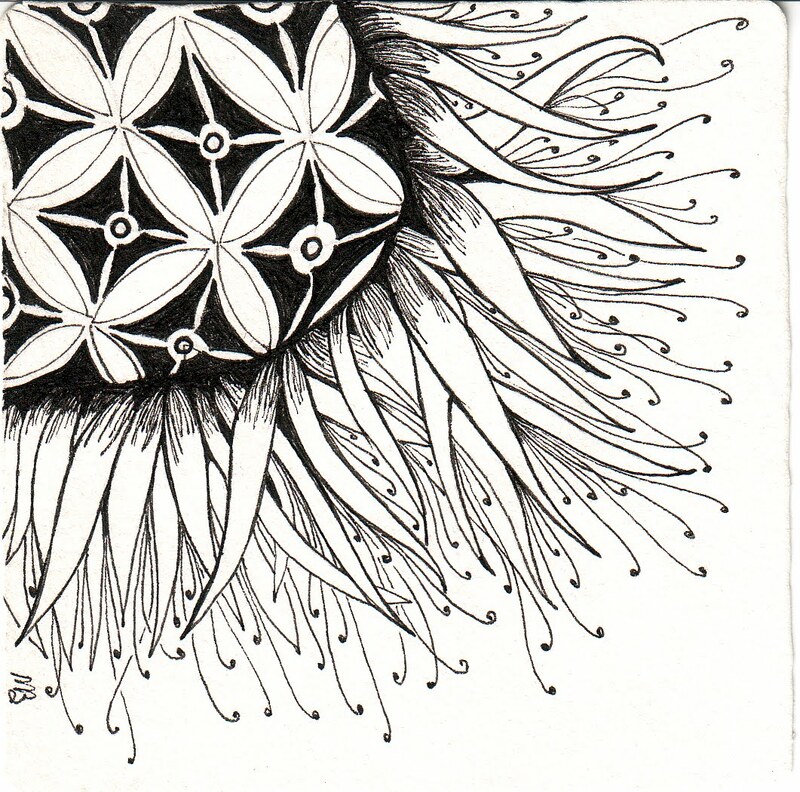 A lovely relaxing tangle...I love those tendrils gently moving in the breeze. Love your wispy petals! They seems to sway with a gentle breath. Lovely tangle, I definitely feel the breeze of your leaves in the sun! Thanks for taking me away from this cold, blizzardy, snowy, grey Michigan winter's day! Lovely. Those wispy thingies look like they're swaying in the breeze. Relaxing... flowing... free. I ♥ it, Michele! Such a beautiful ZT – is it the sun itself or a sunflower? It doesn´t matter! It´s cheerful and vivid. I love it! Great tangle! I love the sun/sunflower of it all! :D Beautiful! Ahhhh! Thanks everyone for my relaxed smile! !